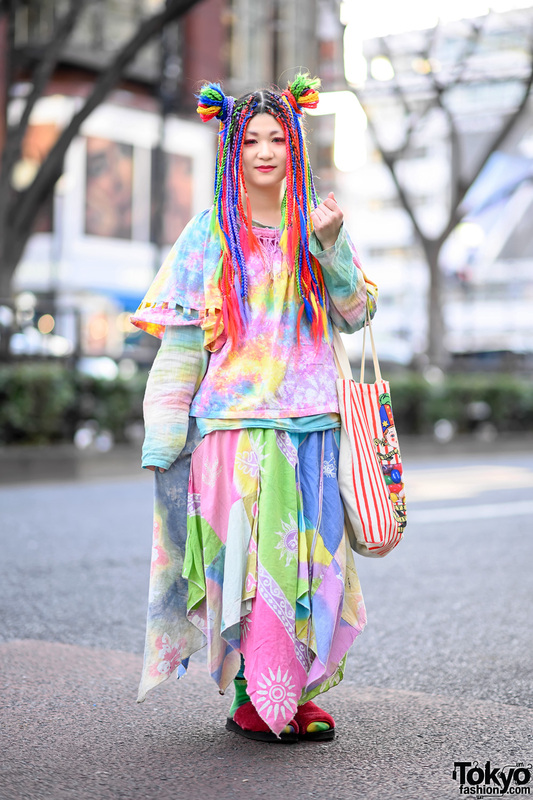 Meet Ivy Matheson, a friendly fashion model from Canada who we spotted on the street in Harajuku. Ivy has has been featured on the cover of Elle Girl Korea and she is featured in the new issue of the Japanese fashion magazine Fudge, as well as having spent time modeling in Shanghai. 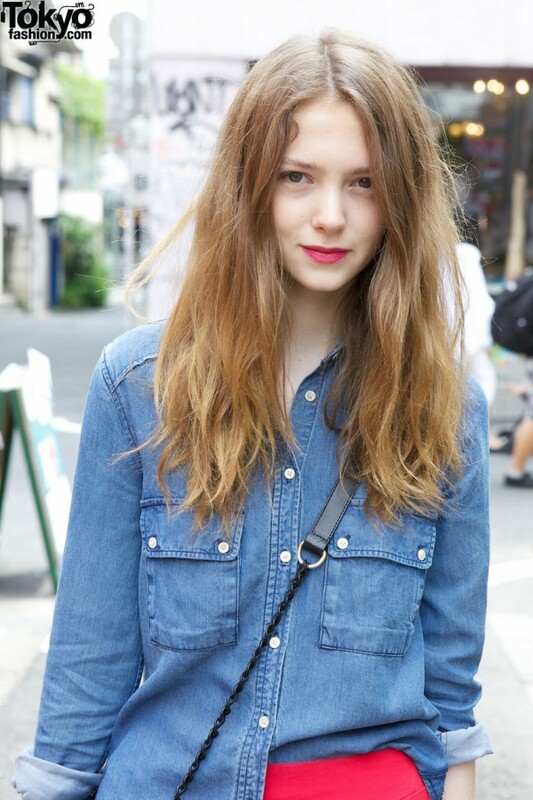 Ivy is currently based in Japan. She recently made an interesting blog post about her life in Tokyo and what it’s like to be a model in Japan. Ivy is wearing a denim shirt with a red skirt (or shorts?) and black boots. Her chain shoulder bag is from See by Chloe. If you’d like to know more about Ivy, and follow her adventures as a model in Japan, check out her personal Twitter or her official website. I want those boots, they look so awesome ! I don’t really dig her look but I do like her boots. Plus, she reminds me of Elle Fanning… which may/may not be a good thing. It’s not fair for her to look so pretty. Waw ! She’s pretty cute ! I love the skirt ! She makes the simple stuff seem cute! The color of a lip, and the color of a skirt. It puts into a shirt half skirt. And, see by chloe suits her very much. Haha I can see why the Japanese love her. Oh, wow! Those shoes are to die for!